ANDREW BENAVIDES has always had an affinity for all things creative. Music was on his mind at first but things quickly changed when he picked up his mom’s old camcorder 13 years ago, shooting other artists that were creating around him. After he self-produced projects to promote local talent, in 2008 he became the Creative Producer and one-half of Sucker Punch TV, a Houston-based online series, and was also creating music videos that landed on VH1 and MTV. It was in 2010 that Monster Energy discovered Andrew and brought him in as a Content Producer, and eventually their Video Director in Music Marketing. 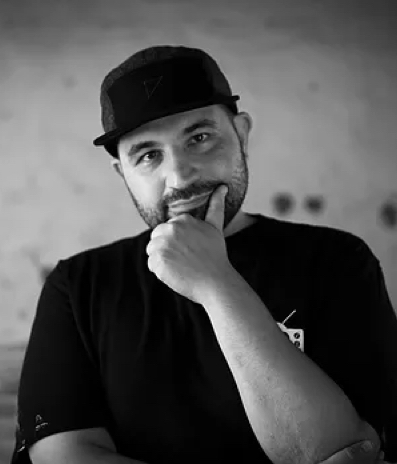 He has worked with Monster on branded content, corporate messaging, and live event coverage while directing and interviewing some of the biggest names in music, high-profile extreme athletes, and supermodels. Andrew joins ThinkBIG Productions bringing years of directing and editing experiences with clients and projects ranging from national commercial spots to FX’s “Atlanta”, HBO Documentaries, CAA, Super Bowl LI, and more. With the most airline miles of the TBP team, Andrew has traveled from Guatemala to Tajikistan covering the legendary breakdancing crew, Havikoro, and is currently in post-production on their documentary. He does squeeze some time in for saltwater fishing when he’s not traveling, but you are almost guaranteed to find Andrew creating content around the clock. We recommend you keep close tabs on this one.